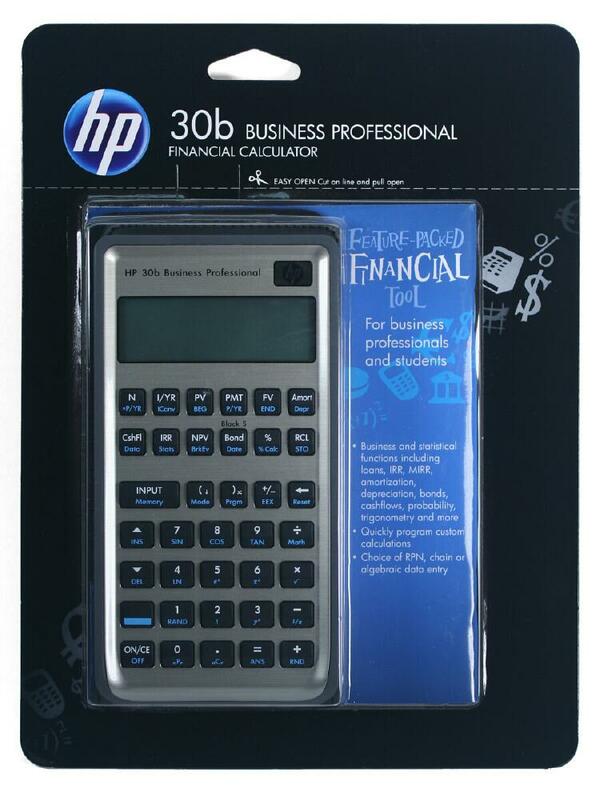 HP released the HP 30b Business Professional Financial Calculator in the summer of 2010. We received our first shipment on July 16th. The HP 30b programmable financial calculator is ideal for business professionals and students in finance, business, accounting, insurance, real estate, banking, and statistics. 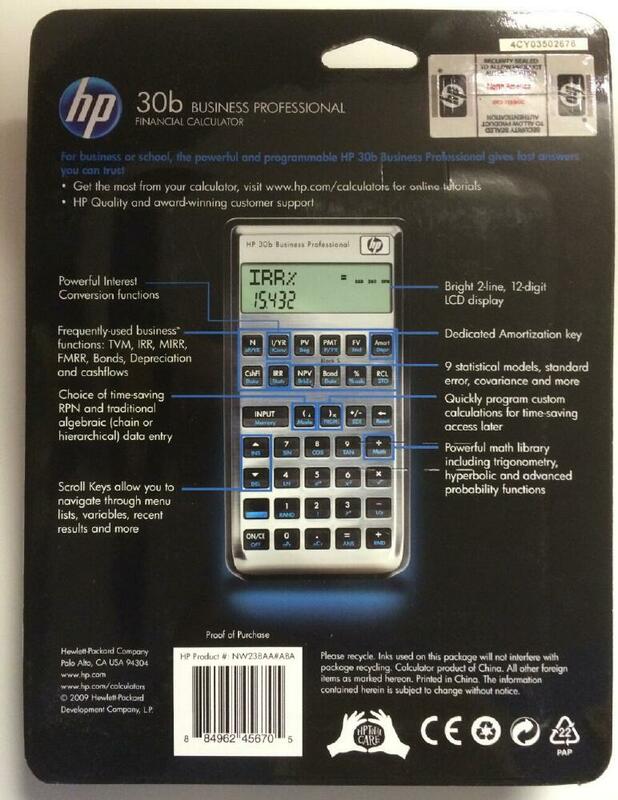 The HP 30b is HP's mid-priced financial calculator, priced in between the basic HP10BII and the higher-end HP12C and HP12C Platinum calculators. The HP 30b offers competitive advantage over key competitor products & designed to replace them at the same price point. Advantages over competitors include 2 display lines, both RPN and Algebraic modes, more statistical functions and models, advanced probability functions, and programmability.